A recent survey has found a worrying lack of awareness when it comes to knowledge on UK driving laws. Conducted by Warranty Direct, provider of direct consumer warranties, areas of particular weakness include understanding road safety, general vehicle rules and interpretation of The Highway Code. This lack of awareness causes drivers to take risks and make dangerous decisions behind the wheel. Awareness regarding motorway driving in particular produced some troubling results. A quarter of respondents thought it was legal to both overtake and undertake on the motorway, and nearly a third think you’re allowed to pull over and sleep on the hard shoulder if you can’t find a rest stop. 50% of drivers thought it was fine to flash your lights to warn fellow drivers of a speed trap, in spite of a well-publicised case in 2011 of a North-east Lincolnshire man being fined £440 for doing so and in turn being accused of ‘obstructing the police’. Staying with the topic of speed, many drivers could do with revising their mph to km/h figures, especially if they have a km/h speedo in their current car. According to 32% of respondents the national single carriageway speed limit in the UK is 112km/h or 70mph, when it is in fact 60mph, which means over a third of drivers may be breaking the speed limit, without even realising it. 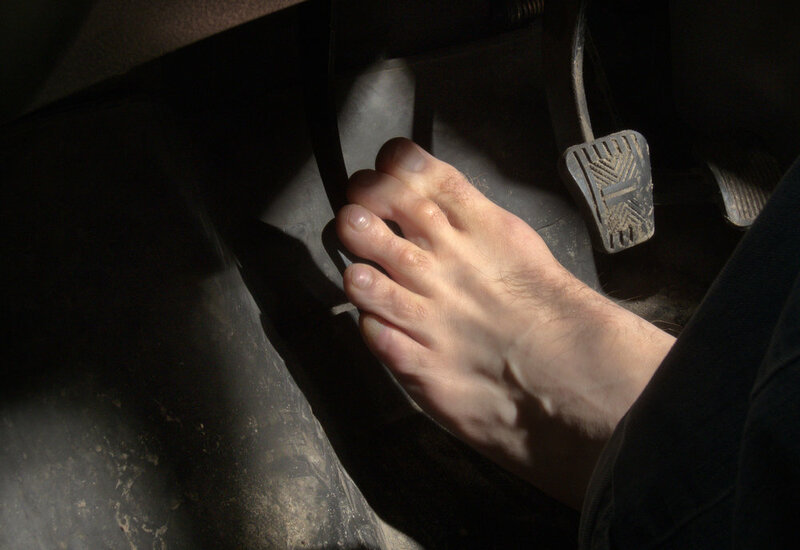 Other laws drivers showed a high lack of awareness in included that fact it’s illegal to drive barefoot (53%), it is illegal to use your horn whilst stationary (62%), while 68% of those surveyed didn’t realise you can be charged with drink driving if you’re asleep in your (stationary) car. The survey also found 69% of Brits were unaware that accelerating through a puddle can get you three points on your licence and 92% of those questioned were also unaware you are not obliged to wear a seatbelt whilst reversing. When presented with a selection of ‘real’ and ‘fake’ driving laws just four out of the 10 genuine driving laws were spotted by more than 50% of respondents, and a high proportion of the public were also fooled into believing that a number of false laws were true.